La Ferme Manoir Saint Barthélemy . Chambres d'hôtes La Villa des Fleurs price per day from € 130 Located a 5-minute drive from Deauville, this bed and breakfast features free Wi-Fi access. Blonville-sur-Mer Beach is located only 250 metres away. All also have a private bathroom, while the studios include a kitchenette for preparing meals. 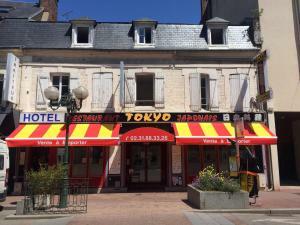 La Ramade price per day from € 165 . 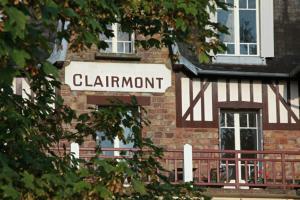 Clairmont price per day from € 45 . Domitys Les Falaises Blanches price per day from € 41 . Maison de Pêcheur Les Fauvettes price per day from € 140 Situated in Asnelles, this cottage is set in an old fisherman’s house and it features stone walls, wooden furniture and an original fireplace. You can also sample your homemade dishes in the dining room that features exposed beams.. Au Grand Verger de la Siaule price per day from € 50 This self-catering cottage is set in a 4-hectare orchard, 26 km from Lisieux, and features a large garden with a private, furnished terrace. Free Wi-Fi access is provided and free private parking is possible on site. 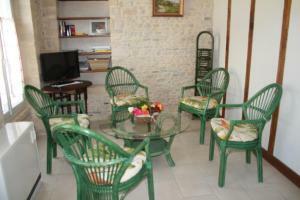 There is an equipped kitchen, a bathroom and 3 bedrooms. Villa Denise Offering free bikes, Villa Denise is located in Barneville-Carteret, just right in front the sea. The holiday home offers a small garden and a direct access to the beach. Guests can also use the barbecue facilities on site or try the local restaurants, located within walking distance. Gîte Le Clos des Pins 5 km from the sea, in Colleville-sur-Mer, Gîte Le Clos des Pins offers a furnished, private terrace. After a long day at the beach, you can rest on the sofa or in the seating area of the living room..
Pierre & Vacances Village Club Normandy Garden price per day from € 180 . 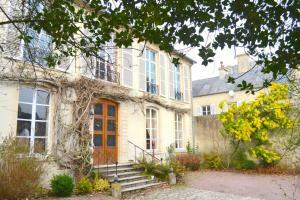 Hotel Du Dauphin price per day from € 99 . Relais Saint-Loup price per day from € 150 . 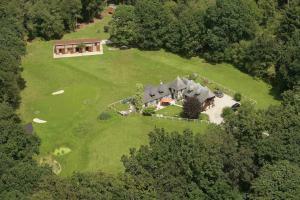 Le Saint-Aubin price per day from € 65 . Hotel Restaurant Tokyo price per day from € 55 . Domaine de La Mésange price per day from € 110 . Dives. 130+ accommodation units !